Staying ahead of the curve, we are constantly adding new Supercars to our fleet, so check back often. We specialize in European exotic cars typically found with an MSRP in the range of $200,000 - $300,000. You will have the opportunity to drive a wide variety of thoughtfully selected Supercars! Every straightaway – pure approach. Every curve – a new challenge. Taming the power of up to 558 horses. In the fresh air. Savoring the smell of speed. Feel the power of the AMG 4.0-liter V8 biturbo engine. 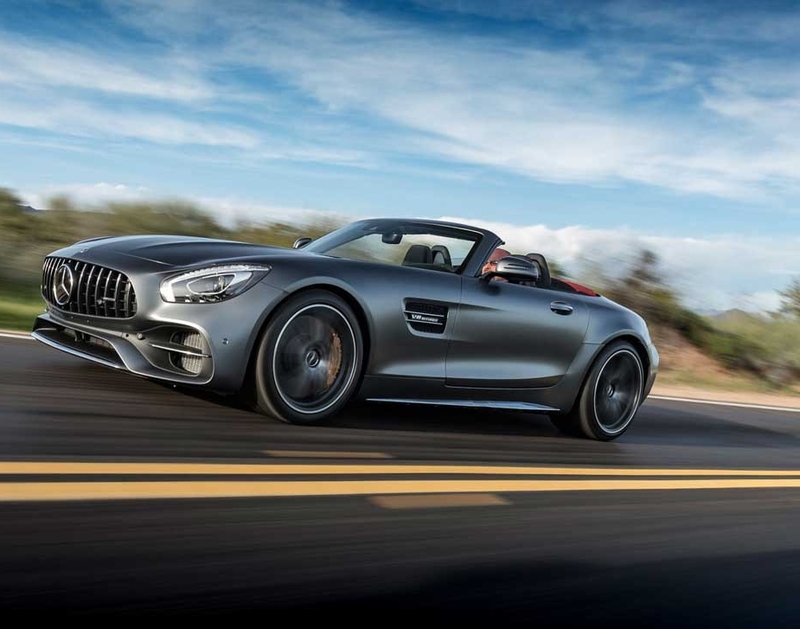 From 0 to 100 km/h in 3.7 seconds with the Mercedes-AMG GT C Roadster. 680 Nm of torque, with its spontaneous response and plenty of tractive power even at low revs. The short ratios in 1st and 7th gear enable particularly dynamic spurts. RACE START offers added zip and sensitive anti-slip control for an even more emotional driving experience. In a nutshell: pure, unfiltered power. Classic strengths revived!